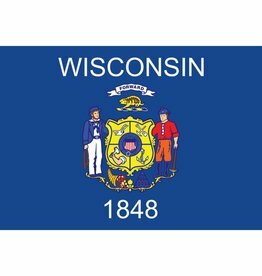 Wisconsin State Flag Printed Nylon Flag with Brass Grommets. All Flags made within the United States. Available in sizes 12”x18” up to 6'x10'. 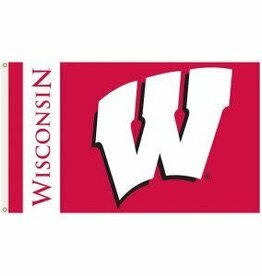 Wisconsin Badgers single sided polyester flag finished with brass grommets used to attach a flag pole. Available in 3X5.